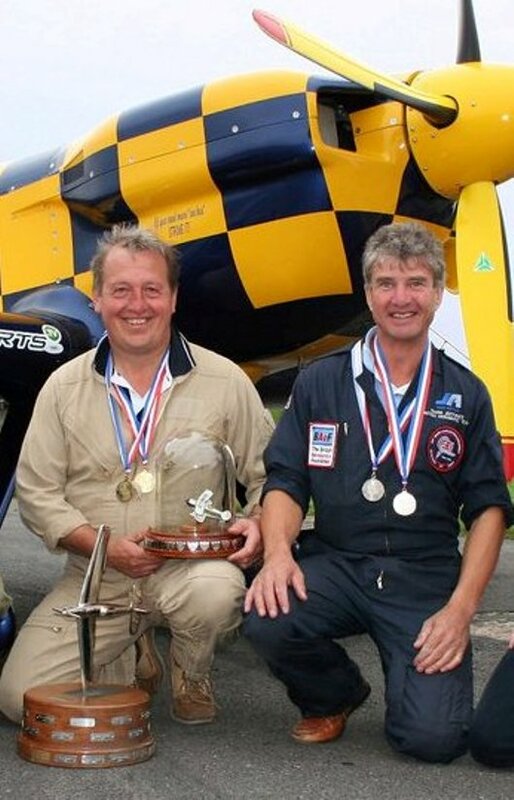 Mark Jefferies and Tom Cassells form the Global Stars aerobatic team. Mark Jefferies – with Tom Cassells, both multiple British Champions; form the Global Stars aerobatic team. The Global Stars team provide two aircraft formation air displays or solo displays. ABARTH Cars UK is supporting Mark Jefferies Air Displays in 2010, 2011 & 2012 along with V.I.T. who are providing support with camera equipment and transmitters for air-to-ground live video and to record the flying displays and air shows that Mark and Tom do around the World. Mark flying as leader of the Global Stars team the next major stop is Bahrain, Dubai, (Jan 2012), UAE & Oman (Feb 2012), Hyderabad, India (March 2012) and China (May 2012) with sb:mktg helping make it happen. Tom Cassells and Mark Jefferies formation team and synchronised aerobatics. Mark is flying the new Extra 330SC and will put on a stunning, world-class air display. Mark Jefferies has achieved great success and worldwide recognition as one of the most accomplished aviators in the UK; including 3rd in the 2011 World Aerobatic masters, 10th in the World 2009 and 9 times British aerobatic champion (ADV & UNL). Mark Jefferies has spectacular manoeuvres, tumbles and spins in the Extra 330SC leaving pilots saying “how did he do that?” A flying display your audience will never forget… No show too large or small to attend. Corporate, Weddings and private parties a specialty – it’s not as expensive as you might first think. Tom flies the CAP 232; a French designed/built aircraft and a very successful competition and display aircraft having won the World championships many times.